It’s April and spring is finally here (at least in the Northeast US). 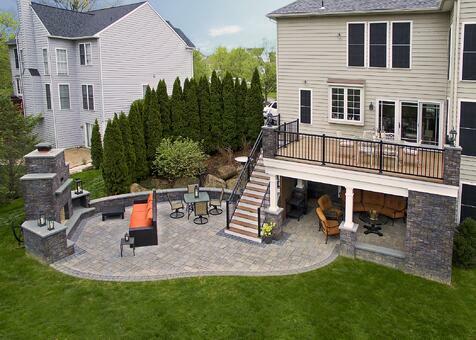 Now’s the time to get excited about what you’re going to do to improve your outdoor living space. 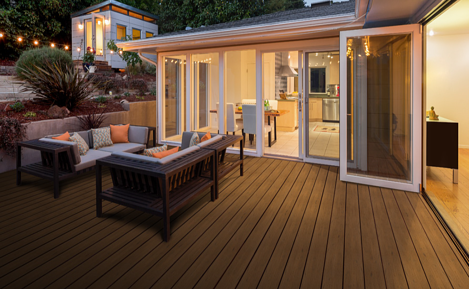 And while maintenance or replacements aren’t the most exciting projects, don’t forget about checking your deck and outdoor areas for safety. Here are some things to consider as you do your springtime planning. What is the current state of your deck? Do you have one? Is the wood rotting? Does it need paint? Is it time for a full replacement? Composite decking like MoistureShield, REVOLVE, or Clubhouse can be more expensive than wood in the initial outlay, but will require less maintenance in the long run, and is even environmentally friendly! Along those same lines, do you have wooden railing or other railing that could stand to be replaced? 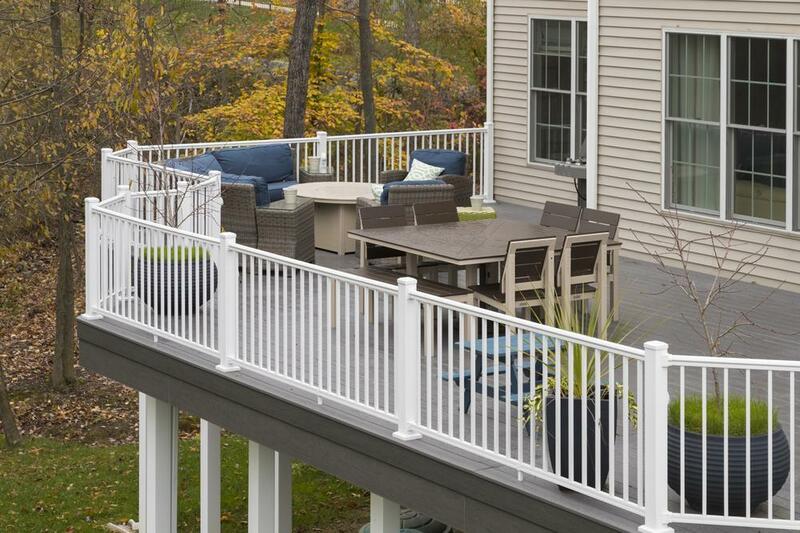 Part of safety, especially on a raised or second story deck, is a secure railing. When looking for railing replacements, wood is the most inexpensive but high-maintenance option. Aluminum railing (make sure it has a quality powder coating) or vinyl railing are lower-maintenance replacements that will last for years. 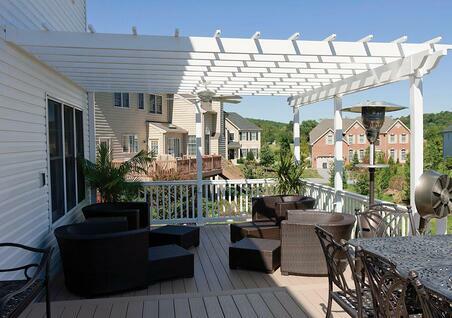 Pergolas are a larger investment that will add value to your outdoor living area. Pergolas can be made of wood, vinyl, or aluminum and provide some shade while designating spots for eating or relaxing. Keep in mind that if you purchase a pergola and want it to last, make sure you buy one with some support to handle weather conditions like snow loads or wind. An inexpensive pergola might save you money up front, but it won’t last nearly as long as a pergola with interior supports. And if you have an odd-shaped or odd-sized space, a custom pergola is the way to go. Once you’ve evaluated the state of your actual outdoor areas, think about enhancements to your yard or garden itself. 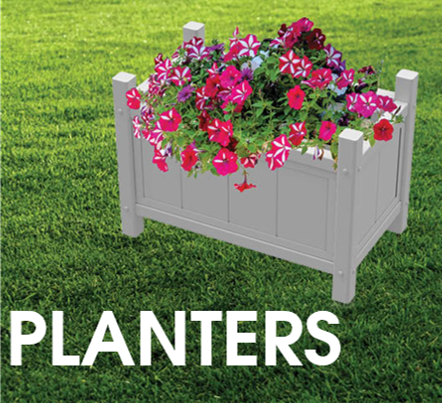 One way to brighten up decks, porches, or patios is with planters. Planters are convenient because you can move them anywhere. Decide your flowers look better over there? Just move them! 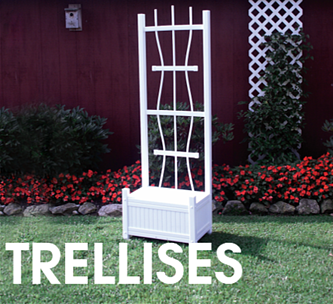 Trellises are also a lovely way to add some color and charm to your space. Superior has a large variety of vinyl trellises, including arbor/trellis combos, where you can grow climbing vines, flowers, or even vegetables that require structural support. Need vinyl inspiration, content, lawn and garden ideas, or helpful tips? We’re here for you! Superior Plastic Products is a leading manufacturer of vinyl fencing, railing, pergolas, and other lawn and garden items. We’re based in beautiful Lancaster County, PA.